The Gambler scooter’s new owner told me that my hunch about the dirty gas tank was correct. He temporarily hooked up an external tank and the scooter immediately fired up without issue. He showed me a video of it running and I’d lie if I didn’t shed a tear at how beautiful it was. He’d keep it, but he doesn’t really want to deal with the process of registering it. So he wants to sell it back to me for the price he paid, plus a few dollars for the price of the solvents he’ll use to clean the tank. He’d rather see my Gambler project finished than keep it for himself. Normally I’d tell the buyer that they agreed to the terms of the deal when they forked over the cash. I don’t do returns on eBay or in real life. However, this guy’s a microcar enthusiast like me (I mean, he knew his Mirage’s engine is in the same family as my smart’s) and it’s awesome he’s doing this for me. I mean, he could just turn around and charge me much more because it’s running now. But he genuinely just wants to help me finish the Gambler project. So, I’ll take the scooter back. However, this now means I’m up a scooter and out of the money I expected to make by selling the Gambler project. The money isn’t an issue as I’ll just offload another computer from my hoard (I *still* have too many computers I just do not use). 2) Maaaaybe carb cleaning/new carb (they’re only $20). 1) Replace brake levers for new ones. These factory ones are made of a material I could only describe as “Chinesium”. 2) Touch up rusty bits in the paint. 3) Replace the turn indicator and brake light housings. 4) New handlebars (see: “Chinesium”). 5) New seat (factory one looks boring). 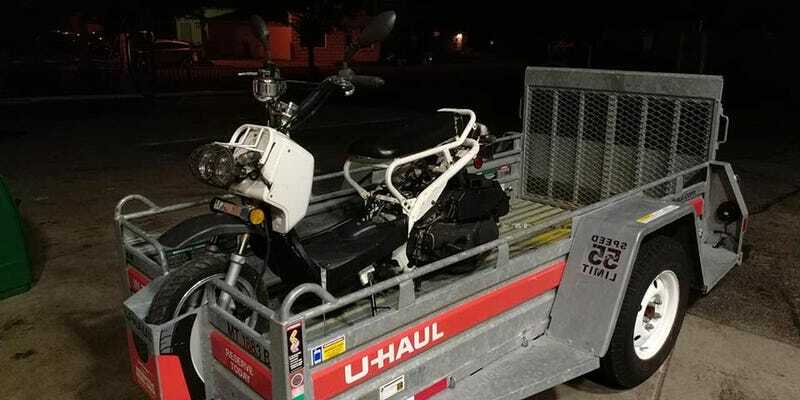 The only thing I’m scared of is that I may like the finished product more than my Honda Rebel...in which case I’ll end up selling the Rebel and that’ll still end up with me flipping a bike. Oh god, am I evolving from Oppo’s David Tracy equivalent to....Tavarish!?!? ?